Brookfield is buying Forest City, owner of a hodge-podge of assets including the New York Times building, for $11.4 bln. The 27 pct premium allows Starboard to exit with a profit. Rising rates and other heady markers mean the deal may signal a peak in property values, too. 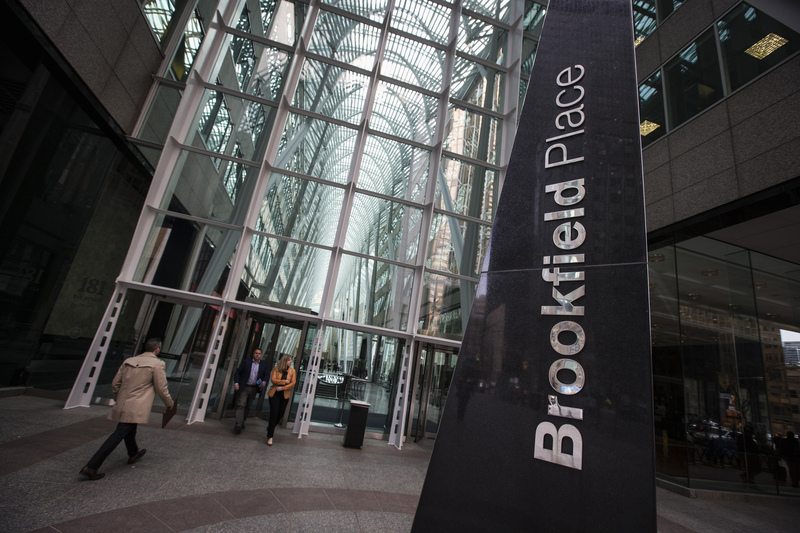 People walk to Brookfield Place off Bay Street on the day of the annual general meeting for Brookfield Asset Management shareholders in Toronto, May 7, 2014. Forest City Realty Trust said on July 31 that it has agreed to be bought by Brookfield Asset management for $11.4 billion, including around $4.5 billion in debt. At $25.35 a share, the offer represents a nearly 27 percent premium to the price on June 15, the day before reports that the two companies might be considering a deal. The Cleveland-based real-estate investment trust in March abandoned a previous plan to sell itself. It also acceded to pressure from three large shareholders, including activist Starboard Value, to replace several members of the board. Starboard and Scopia Capital Management, which collectively own 14 percent of Forest City, have agreed to vote their shares in favor of the deal.